There are some filmmaking teams that invariably bring out the best in each other, and that's definitely the case with director Carroll Ballard and cinematographer Caleb Deschanel. 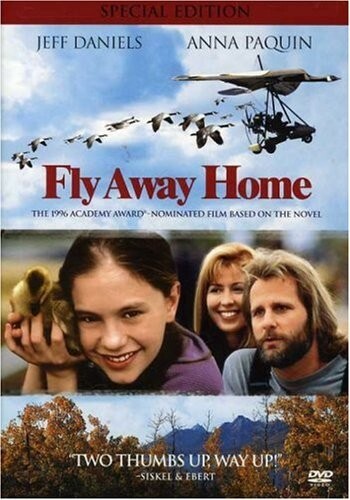 They previously collaborated on The Black Stallion and Never Cry Wolf, and Fly Away Home is their third family film that deserves to be called a classic. Inspired by Bill Lishman's autobiography, the movie tells the story of a 13-year-old girl (Anna Paquin) who goes to live with her estranged, eccentric father (Jeff Daniels) following the death of her mother. For more girl-empowering films, visit our Movies / TV section.